Diabetes is a widespread disease that involves either the lack of insulin production (Type 1 Diabetes) or an inability of the body to use insulin, known as insulin resistance (Type 2 Diabetes). Insulin is a vital hormone secreted by the beta cells of an organ called the pancreas. It increases in response to blood glucose levels when food is ingested, allowing the body’s tissues to take up the glucose to use as energy. This causes the blood glucose to go back to its normal level. Type 1 diabetes, also known as juvenile-onset or insulin-dependent diabetes, makes up five to ten percent of those affected by the disease. In Type 1 diabetes, your immune system attacks and destroys cells which produce insulin, the hormone that allows your body to convert glucose into energy. Symptoms include thirst, hunger, fatigue, frequent urination, weight loss, tingling or numbness in the feet, and blurred vision. Type 2 diabetes, also known as adult-onset or non-insulin-dependent diabetes, appears during adulthood. In this form, the body develops insulin resistance, meaning that the body is not able to use insulin to produce energy from glucose, resulting in increased glucose levels. This can lead to the pancreas producing less than the required amount of insulin, leading to an insulin deficiency. Common symptoms for type 2 diabetes are excessive thirst, frequent or increased urination, excessive hunger, fatigue, blurry vision, and sores that won’t heal. When the insulin pathway is disrupted, glucose remains in the bloodstream but the tissues essentially starve due their lack of glucose uptake. 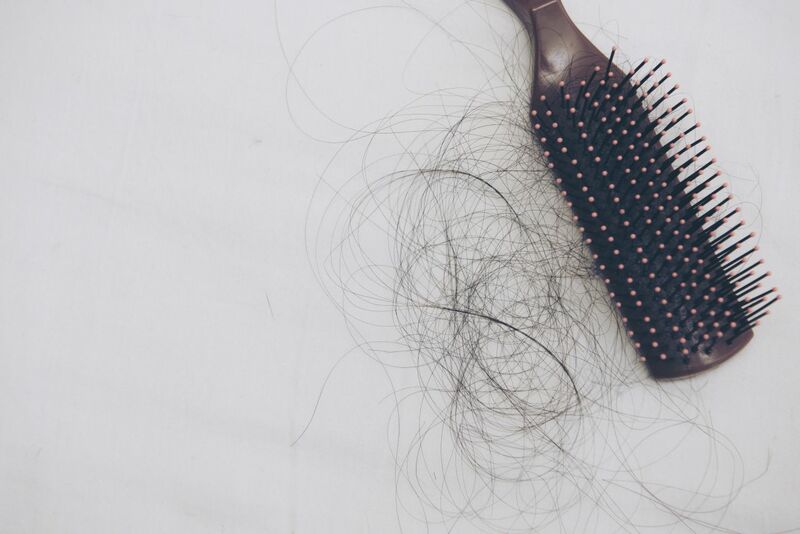 This can cause an array of symptoms as the entire body becomes imbalanced and has to work extra hard to keep things in check. In Type 1 Diabetes, the symptoms typically develop rather suddenly and prominently while those in Type 2 Diabetes may be a bit harder to detect. When there’s excess glucose in the blood, the body reacts by trying to get everything back in balance. First, the excess blood glucose soaks up water from the body’s tissues into the bloodstream (through osmosis) in an attempt to equalize the concentration of glucose in the blood to that in the cell. Meanwhile, the kidneys are working overtime to filter out and absorb the extra glucose. However, if the kidneys can’t keep up, the glucose (along with fluids) is eventually flushed out of the system, through urine. This results in the need to produce more urine and urinate more frequently than usual, including waking up to go during the night. The most effective way to keep frequent urination due to diabetes under control is to control your blood sugar through diet and medication. Due to the frequent urination caused by excess glucose in the blood, the body loses a large amount of fluids and becomes dehydrated. The receptors in the brain that detect the level of dehydration of the blood are known as osmoreceptors. These trigger thirst signals which, in turn, create an urge to drink fluids. Though excessive thirst may be a symptom of other conditions (like the common cold or allergies), it can be a good indicator of diabetes when accompanied by the other symptoms on this list. It is important for diabetics and pre-diabetics to drink lots of water (and not sugary drinks) to help their kidneys excrete excess sugar and to prevent dehydration, which in itself is dangerous. Dehydration can lead to many problems. When high blood glucose causes fluid from the cells to be pulled into the bloodstream, the effect occurs throughout the body, including in the eyes. When the lens of the eye gets dried out, it loses its ability to focus, causing blurred vision. Chronic high blood glucose, can also lead to retinopathy, or damage to the back of the eye that can affect vision and may even lead to blindness. When blood glucose is high, it means that the cells are not getting the energy they need, as they can’t take up the glucose. This results in a lowering of energy and therefore a feeling of tiredness. This may be exacerbated by lack of sleep due to waking up during the night to urinate. It is important to get tested for diabetes if you are experiencing this symptom along with some others on this list. Some people try to fight their tiredness by eating something sweet, but this makes the problem worse by raising blood glucose levels. It may seem confusing that someone with high blood glucose is constantly hungry. However, the issue in this case isn’t the glucose levels itself, but the body’s inability to utilize the sugar for energy purposes. Since diabetics have no insulin or insulin resistance, this results in the inability to take up glucose into the tissues. The tissues essentially starve and send out hunger signals to the brain. This leads the individual to eat more, causing blood glucose to rise even more. Clearly, this can be a vicious cycle if it isn’t controlled. High blood glucose impairs a few processes required for wound healing. For example, it disrupts the body’s signaling system which directs neutrophils, a type of white blood cell, to the site of injury. Neutrophils normally help the healing process by removing debris from the site of the wound and cleansing the wound. High blood sugar can also disrupt oxygen supplies to the site of the wound by causing nerve damage or blood vessel disease. This results in a slowing down of the wound-healing process. Diabetics often experience higher incidences of infection than non-diabetics, especially in the skin and urinary tract. The skin infections can affect any skin surface but typically target the feet area. Diabetes can lead to infections in many different ways. Bacteria and yeast love glucose, so these microbes have the opportunity to thrive in diabetics. Urinary tract infections, in particular, are also common in people with diabetes. This is because chronic high blood glucose can lead to a complication in which the bladder cannot contract or empty, completely. The residual urine in the bladder provides the perfect breeding ground for bacteria. Eating yogurt with probiotics and of course, keeping your blood glucose levels under control may help to treat this type of infection. Although one might easily believe that the symptom of increased hunger will lead to weight gain, this simply isn’t the case with diabetes. There are several reasons why diabetics experience weight loss. One reason has to do with excess urination caused by high blood glucose. Since the body is losing large amounts of fluids (which also happens to be high in calories), it will weigh less. Also, when the body’s tissues are unable to metabolize glucose, they switch to burning fat for energy. This will obviously cause weight loss, as it is essentially what you do when you exercise. High blood glucose can lead to nerve damage throughout the body. However, if it occurs in the small intestine, this can lead to dysfunction in the small intestine’s ability to digest, leading to delayed emptying into the large intestine. This causes fluids to stand still in the small intestine, allowing bacteria to flourish. These bacteria can cause bloating and diarrhea. Alternatively, the nerve damage may lead to dysfunction in the large intestine, slowing the movement of waste through it. This causes the waste to dry out as it loses water along the way. This results in constipation. To help treat either of these conditions, it is recommended that you stay hydrated, exercise and eat healthy. To relieve constipation, especially, a high fiber diet can help your digestive system to function more smoothly. In some cases, diet and exercise are not enough to control type 2 diabetes. If you do need medication, you should make sure that you follow your doctor’s instructions. 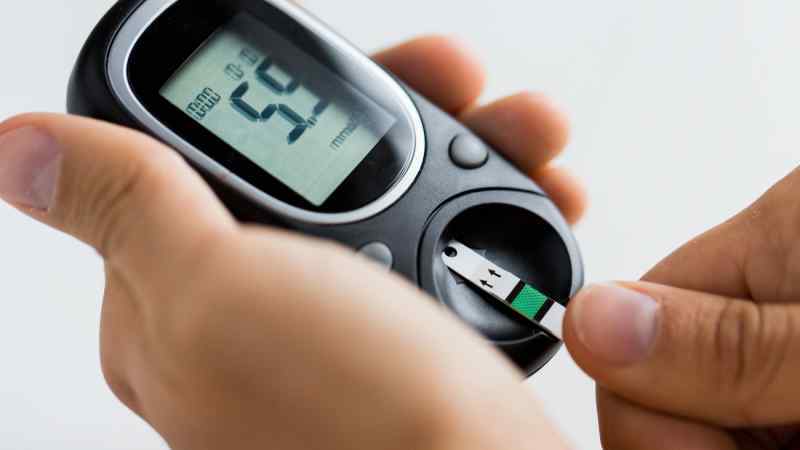 You may need to take pills and/or insulin to control your glucose levels. 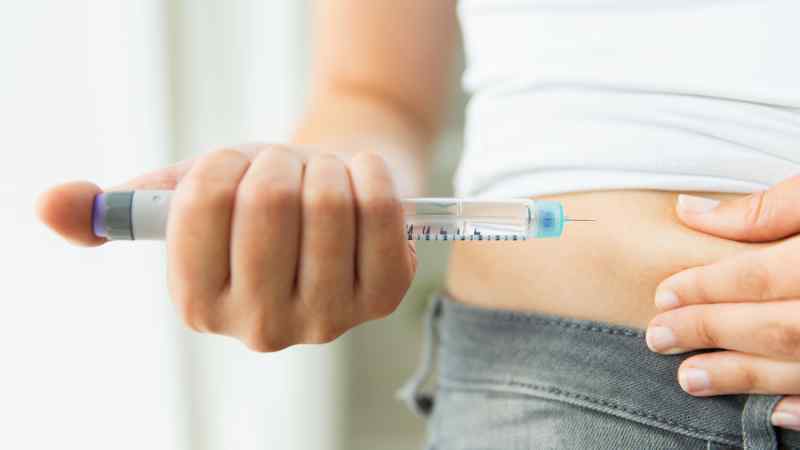 Until recent years, diabetics relied on the tried and true method of either injecting themselves daily with insulin or taking oral pills that tricked the body into releasing its own insulin. 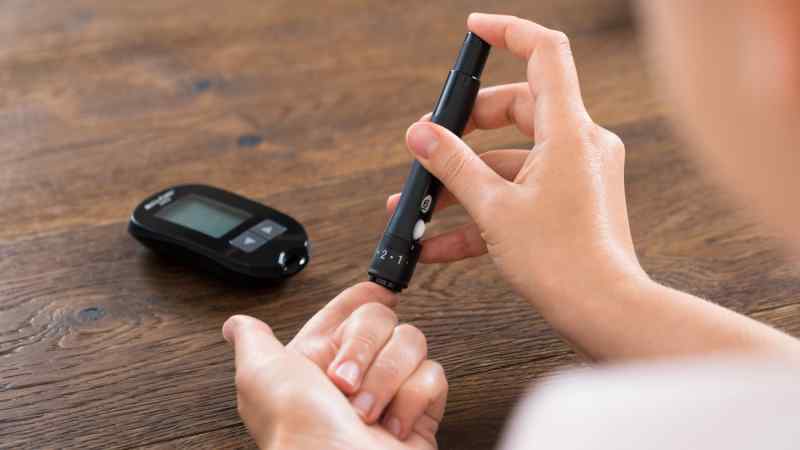 As with almost all major diseases, biologic modification has created an onrush of new medicines to the market, most of which approach the particular problems faced by diabetics in a whole new way. Doctors may use a drug like metformin to help the liver hold on to the glucose it produces. Other medications help the pancreas to produce more insulin. DPP-4 Inhibitors get the body from breaking down hormones that make the pancreas produce insulin. This helps your blood sugar lower after a meal. These new diabetes drugs belong to a different classification because they function in a different manner in the human body. These drugs, called DDP-4 inhibitors, work by preventing the production of DPP-4, an abbreviation of dipeptidyl peptidase IV, which is an enzyme that blocks incretin production. Incretins are hormones that help to increase production of glucose when needed and reduce the amount produced by the liver when it is not needed. By blocking the enzyme, more incretins are available to regulate blood glucose levels to keep them in normal range. Medicines like thiazolidinediones or TZDs help the insulin your body produced to work better. Alpha-glucosidase inhibitors slow the digestion of complex carbohydrates like starchy vegetables and bread. You may take drugs for cholesterol or to help you urinate more sugar. A number of drugs are covered under this category. They work by improving the how insulin is utilized in the muscles and fat cells. They also reduce glucose production in the human liver. Thiazolidinediones have been in use for type-2 diabetes since the late 1990s. Pioglitazone, under the brand name Actos, was approved in 1999, and has experienced a number of reviews because of side effects. Additional restrictions were added to the drug label, as a result. The generic version of the drug was approved in 2012. Sometimes medications for type 2 diabetes stop working after some time. Nobody knows why this happens. If it does, your doctor may prescribe more than one medication to work together, also known as oral combination therapy. While there are pharmaceutical options available to treat diabetes, you’ll be pleased to know that there are a variety of natural remedies for diabetes that you may have hiding in your pantry at this very moment. Let’s focus on some of the most common natural treatments for diabetes! Avocados are one of the healthiest foods that you can eat if you are a diabetic. They have monounsaturated fat and low in carbohydrates. Studies have shown that a diet that is low in carbohydrates and high in monounsaturated fat can help improve insulin sensitivity. Not only does the monounsaturated fat help improve insulin sensitivity, but it also helps reduce the risk of heart disease. Diabetics are at an increased risk for heart disease. There are several ways that you can enjoy avocados. You can put a few slices on your sandwich or in your salad. Additionally, you can mash up an avocado and put it in a chip dip. Bitter gourd contains bio-chemical known for mimicking the insulin produced by the pancreas. Whether you choose to drink tea made from bitter gourd, take it in supplement form, or cook with it, users have noticed a moderate reduction in blood glucose levels. The two main compounds in bitter gourd that create this effect are charatin and momordicin, which have been proven to lower blood glucose levels. Lemons are great for diabetics because they have a low glycemic index. It is important for diabetics to eat foods that have a low glycemic index because this can help stabilize blood sugar. Not only do lemons help regulate blood sugar, but they can also detoxify the body. Furthermore, lemons are a great source of vitamin C. This is an antioxidant that helps improve heart health and boost the immune system. Keep in mind that you do not have to eat the lemon in order to reap its health benefits. You can improve your health by drinking warm lemon water every morning. For those who’re adverse to the taste of lemon, adding a drop of lemon essential oil to water can provide similar benefits but without the strong taste. In a recent animal study, lemon balm oil has been shown to help breakdown sugars it comes into contact with, as well as increase glucose absorption. What this means for diabetics is currently unclear, but with confirmation from your doctor, it may prove useful in treating symptoms of diabetes. It is speculated that diffusion of lemon balm oil, or application to skin, may provide the aforementioned benefits as well. Cinnamon not only makes a nice addition to a dessert, but it also helps stimulate insulin. That is why it is good for diabetics. There have also been clinical trials done to show that cinnamon is effective for lowering blood sugar. In addition to adding cinnamon to your smoothies, baked goods and beverages, you can make cinnamon water. You will need to add 1/2 teaspoon of cinnamon to warm water. Consume this beverage every day. You can also boil four cinnamon sticks in a cup of water. Let the mixture steep for 20 minutes and then consume it. Many people take fish oil for their heart and brain health. This supplement can also be beneficial for people who have diabetes. Fish oil, which has omega 3 fatty acids, has been shown to increase the production of adiponectin. This substance helps improve insulin sensitivity. If you do not want to take fish oil supplements, then you can get omega 3 fatty acids from your diet. Omega 3 fatty acids are found in flaxseeds, salmon and chia seeds. Egg whites are a great source of high-quality protein. They are also low in carbohydrates. One egg white only has 16 calories, and it has four grams of protein. Egg whites are also great for helping you either maintain your current weight or lose weight. Snacking regularly can benefit you if you are a diabetic. It will not only help you keep your hunger pangs under control, but it can also help stabilize your blood sugar. Almonds are one of the healthiest snacks that you can eat. They have magnesium, which is one of the nutrients that can help lower your blood sugar. There was a study done by Harvard University that showed that people who take high doses of magnesium per day were 33 percent less likely to develop type 2 diabetes. Therefore, adding almonds to your daily diet can help you keep your condition under control. You may have been told that yogurt is one of the foods that you should avoid if you are a diabetic. However, Greek yogurt can actually help you keep your blood sugar under control. Greek yogurt is a great choice because it has less sugar than regular yogurt. It also has twice as much protein. Furthermore, Greek yogurt has a much lower carbohydrate content compared to the alternative. It is imperative for diabetics to fill their diet with whole grains. Oatmeal is high in soluble fiber, which is essential for keeping blood sugar under control. It is best to eat plain oatmeal because it is lower in sugar. You can add flavor to your oatmeal by putting chopped pecans, walnuts, or almonds in your oatmeal. It’s important to stay in close contact with your doctor so they can prescribe the best plan for your situation. They will also monitor your medications and determine what, if anything, needs to change. There are also many self-care options that you can do yourself. The latest research on diabetes treatments leads to more medications and lifestyle changes all the time. It’s important for anyone to have proper diet and exercise, but it’s more so for those with type 2 diabetes. Some lifestyle changes will be necessary. 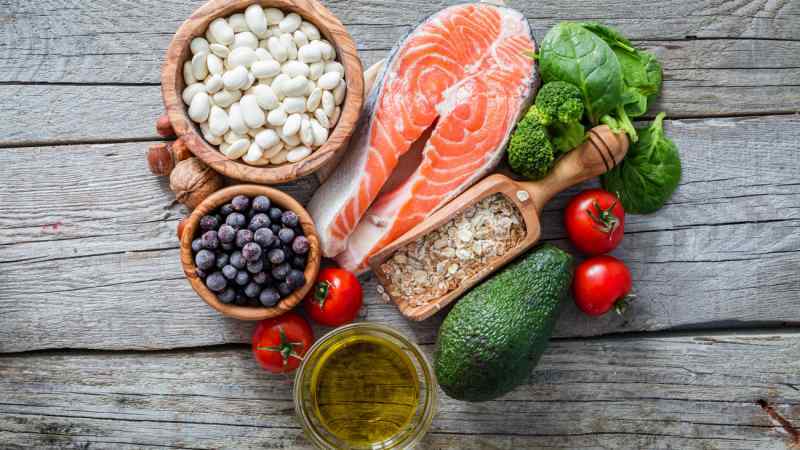 The first question when you’re diagnosed with type 2 diabetes is “What am I allowed to eat?” The good news is that those with type 2 diabetes don’t need to deprive themselves of their favorite foods. The easiest way to determine a healthy diet is to make sure about 1/4 of your plate contains high protein foods. Proteins such as meat, soy or dairy products are essential to any healthy diet. Half of your plate should be non-starchy vegetables like greens, onions, or mushrooms. The remaining 1/4 of your plate should be carbohydrates. One of the most confusing aspects of a healthy diet are the carbohydrates. Are they good or bad? There are different kinds of carbohydrates. Nutrition labels that count total carbohydrates include all the complex carbohydrates, sugar, and fiber. The when selecting grains, whole grains are best. They have all the nutrients you will need from a carbohydrate. Refined grains are okay, but they only have a portion of the nutrients. Diabetics have been told in the past to avoid sugar all together. Now, it’s recognized that you can have small amounts of sugars and still be healthy. That doesn’t mean go overboard. The best way is to save desserts for special occasions. That way you can still enjoy your favorite foods in moderation without depriving yourself. There’s no master list of what you can and cannot eat. Everyone has different health situations and personal tastes. The main things to focus on in your diet are carbohydrates, fiber, fat, and salt. You should also keep in mind that moderation is key. Adopting a healthy diet will help you to lose extra weight and better manage your condition. Don’t start any exercise program without consulting your doctor. If you’re not used to physical activity, it can be dangerous to start too hard. 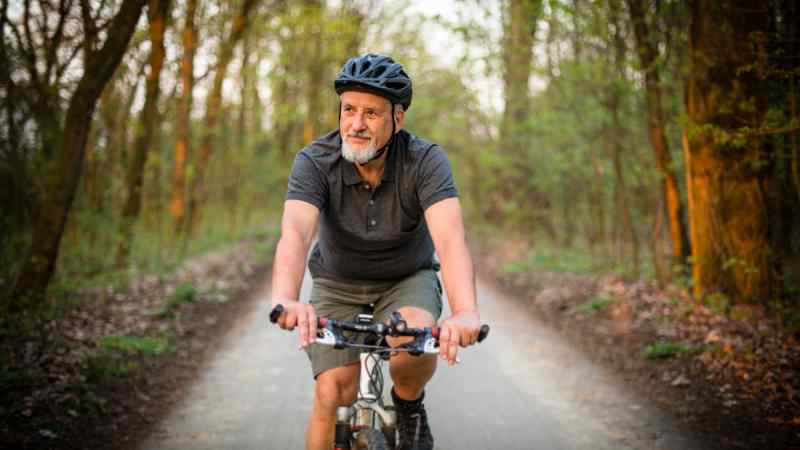 No matter what your age is, you can start a healthy, active lifestyle. Your workout doesn’t have to be vigorous to be effective. Your activities could be as light as a thirty-minute walk on your lunch break every day. It’s that easy. When you exercise, your cells are able to use any available insulin to take up blood glucose because you increase insulin sensitivity. If you’re regularly active, in time you’ll also lower your A1C levels. The blood glucose reaction depends on your level of physical activity, your history, and other factors. You can see the benefits by taking your levels before and after exercise. At least as important as the preceding discussions on Diabetes is the concept of education. Diabetes is the kind of disease that you really need to understand how the body processes (or fails to process) glucose. Here’s a thumbnail sketch: Food is turned into glucose in the body and then sent out to be absorbed by all cells as energy. Under ideal conditions, your body produces insulin to regulate blood sugar (glucose) levels while this is being done. If the body doesn’t produce enough insulin, blood sugar levels spike, and you’ve got a problem. The second part of your diabetes education is to keep track of your blood sugar levels. These days that is no big deal. Your doctor will probably prescribe you a home test kit which gives you a blood sugar reading with nothing more than a slight finger prick. You might be told to monitor it daily or maybe just three or four times weekly. The important thing is to track it enough that you have an idea what pattern it follows and can identify it within a reasonable period of time if something gets out of whack. Those managing Type 2 Diabetes should get used to the idea that they will be pricking their fingers on a regular basis. The bottom line is that you shouldn’t take a Type 2 Diabetes diagnosis as something too scary. It’s serious, yes, and not curable, but it can be effectively managed for many, many years. People diagnosed in their 30’s and 40’s can go on to live a long, healthy life and eventually die of natural causes. The key is that you take action quickly after diagnosis. The best plan is an approach that focuses on diet, exercise, medications if indicated, and stress reduction. Do that, and the chances are good you’ll barely know you have the disease. According to the research, type 2 diabetics saw positive results when they switched from Lantus to Basaglar, a biosimilar insulin from Lilly. It’s been approved by the FDA and is set to be released in the United States at the end of 2016. For more information, visit Lilly’s website or talk to your doctor. In September 2016, the FDA approved the first ever hybrid artificial pancreas. The device is as small as a pager and can be worn on a belt. It’s part glucose monitor and part insulin pump that checks glucose levels and delivers a steady stream of insulin at preset intervals and amounts. While it’s not completely automated (you still have to check your levels and adjust at meal times), it’s a lot closer to “automated” than previous options.